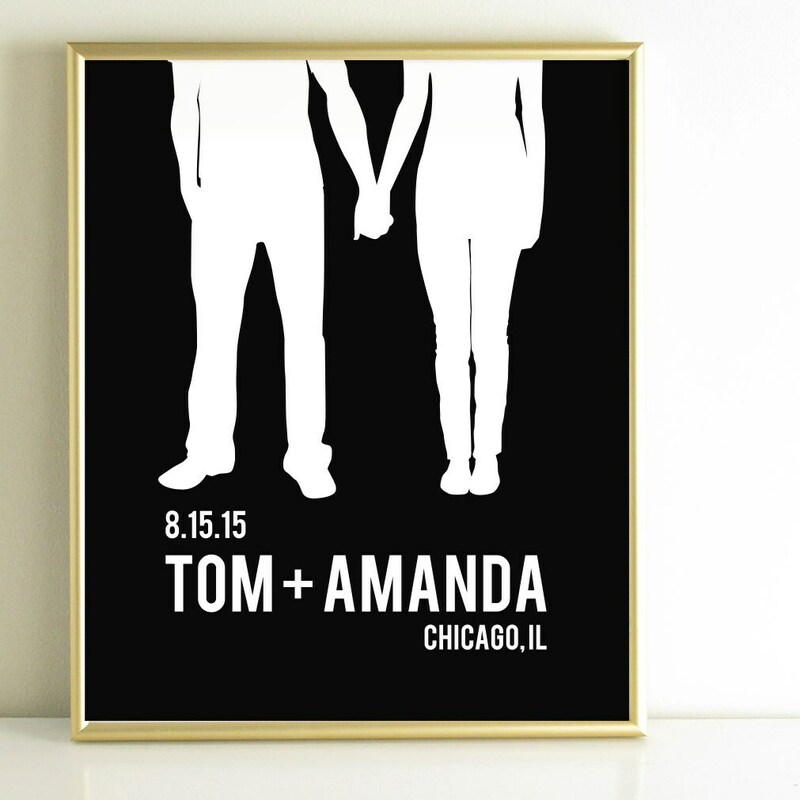 Design a personalized silhouette for a unique wedding gift! 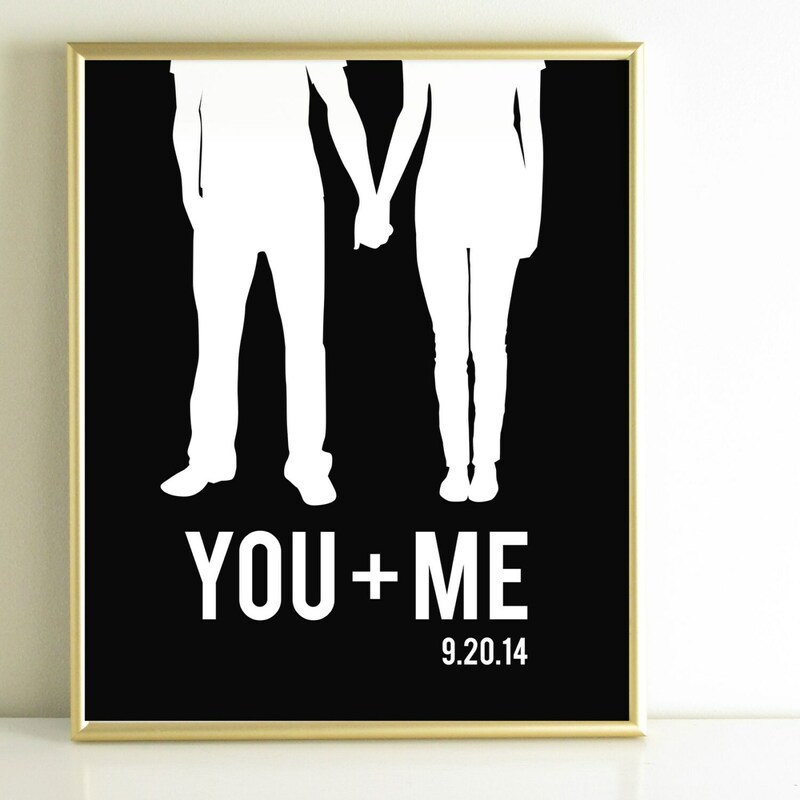 Surprise your sweetie or celebrate your friend’s wedding with this bright silhouette print. 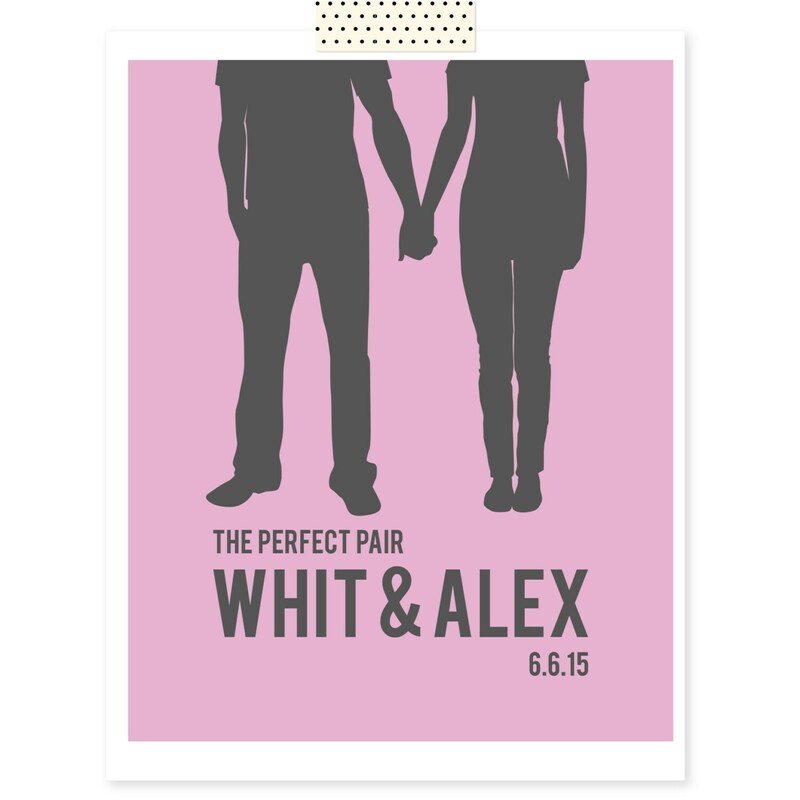 We'll create your one-of-a-kind silhouette print using the illustration of the happy couple shown but with your names, text and colors added in. 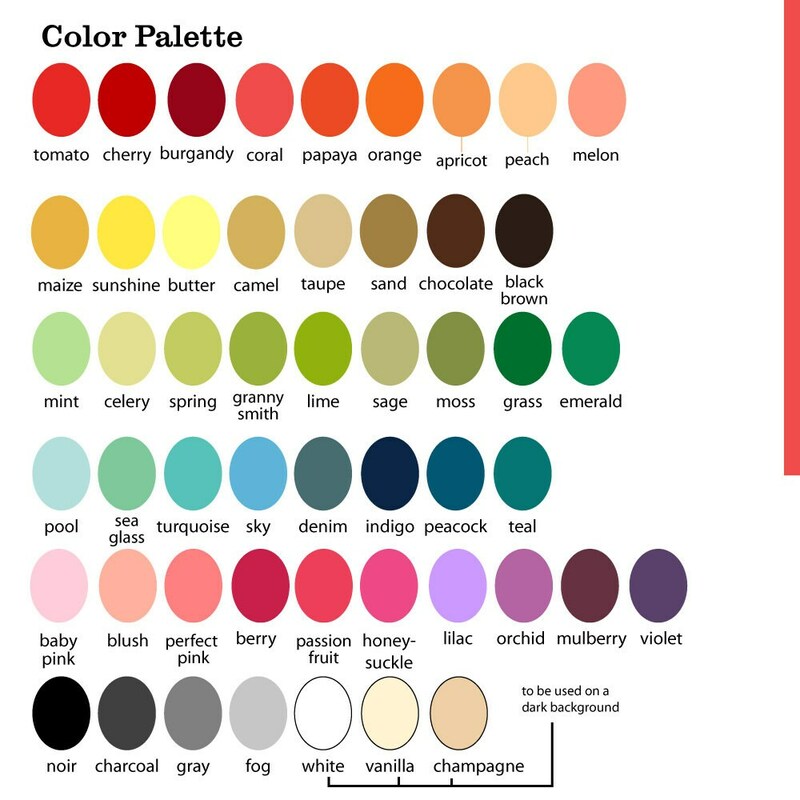 Please include your all your text and preferred colors in the personalization field of this item (available on most devices) or the ‘note to’ field of the shopping cart page (available on all devices). 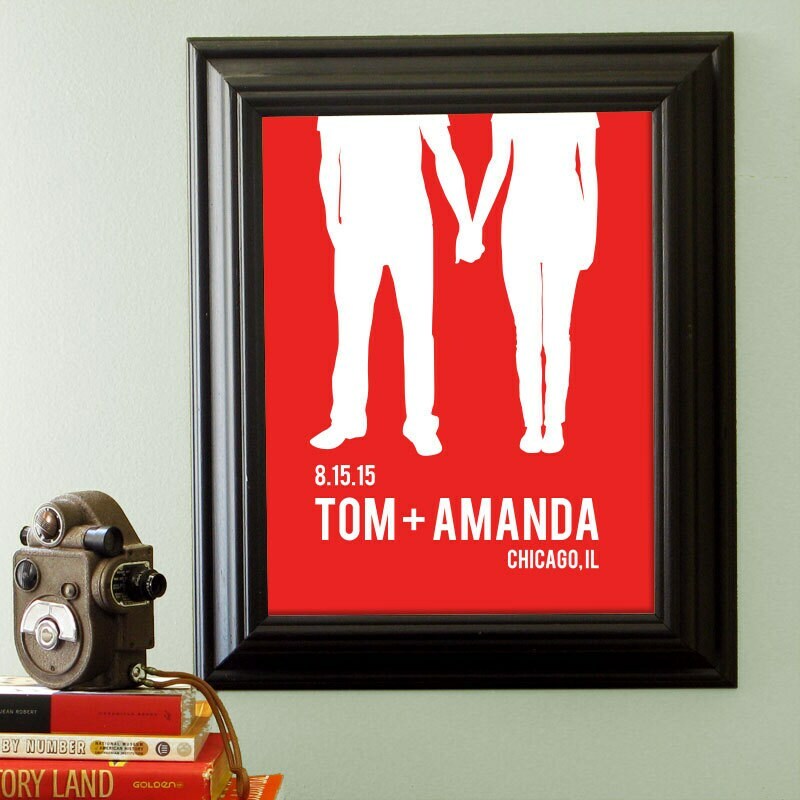 This custom wedding gift is a lovely keepsake of the big day. It also makes a fun engagement gift or first anniversary present.